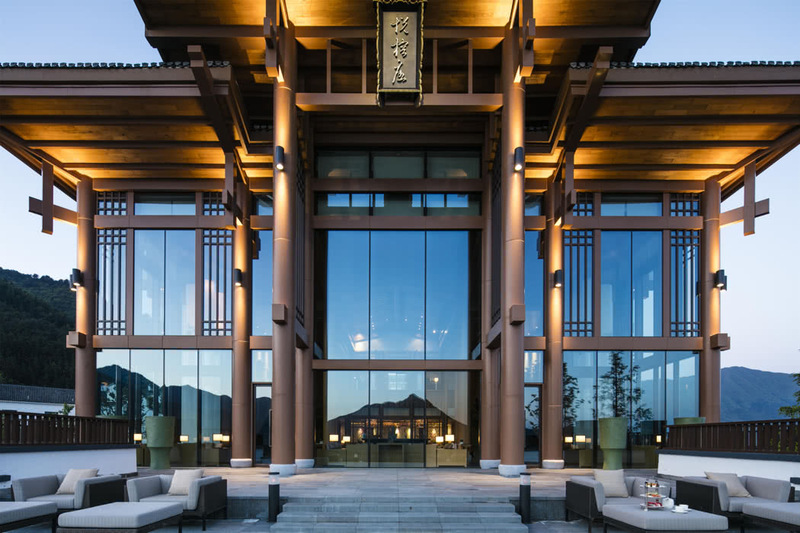 Tranquillity amidst a mountain paradise awaits at the Banyan Tree Huangshan in China. That magical combination of Banyan Tree luxury and service, coupled with the idyllic mountain wilderness is hard to beat. 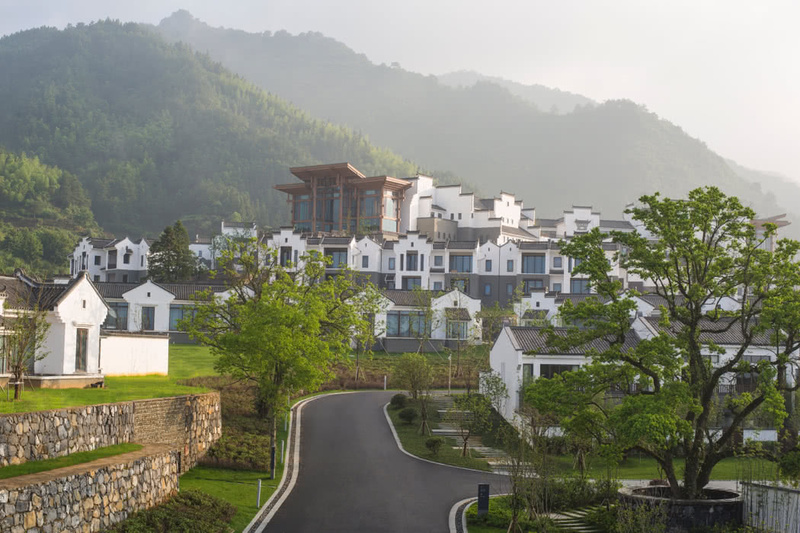 The hideaway resort lies tucked at the foot of the majestic Mount Huangshan in Anhui Province in China. You are surrounded by somewhat surreal vistas of jagged mountain tops creating a wonderful serenity. 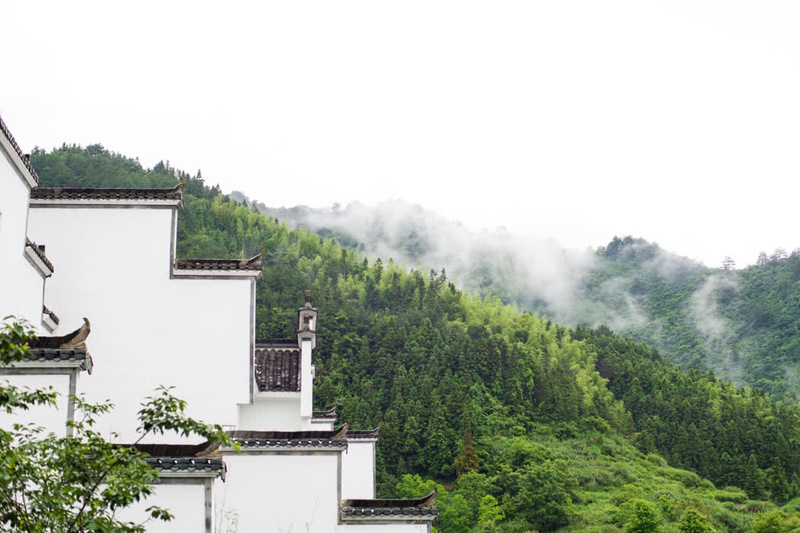 The excellent location gives you easy access to three exceptional UNESCO World Heritage villages; one of these, Lucun is just a 15-minute stroll from the hotel and Xidi and Hongcun are a 10-minute drive. There is never a bad time to visit this mountainous region. In spring the mountain is lush and green (though this is also the rainy season), in summer it’s a buzzing resort and it’s also the best season for the infamous cloud viewing, the autumn climate and colours make it a great season for serious trekking and climbing and winter brings snow and ice and the mountain becomes a crystal wonderland. The nearest airport is Huangshan Tunxi Airport. Flights from the UK tend to connect in Beijing or Guangzhou taking around 15 hours in total. The hotel is then a 90-minute drive from the airport. Staying here is all about being close to nature and immersing yourself in rich cultural experiences. 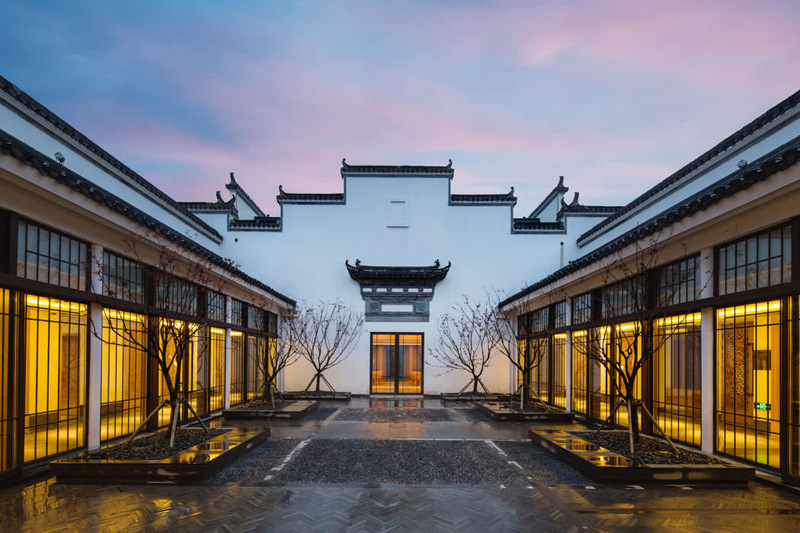 The buildings of the resort are built with typical Anhui-style architecture of the region and the elegant interior manage to both echo of ancient China while at the same time having all the modern comforts. 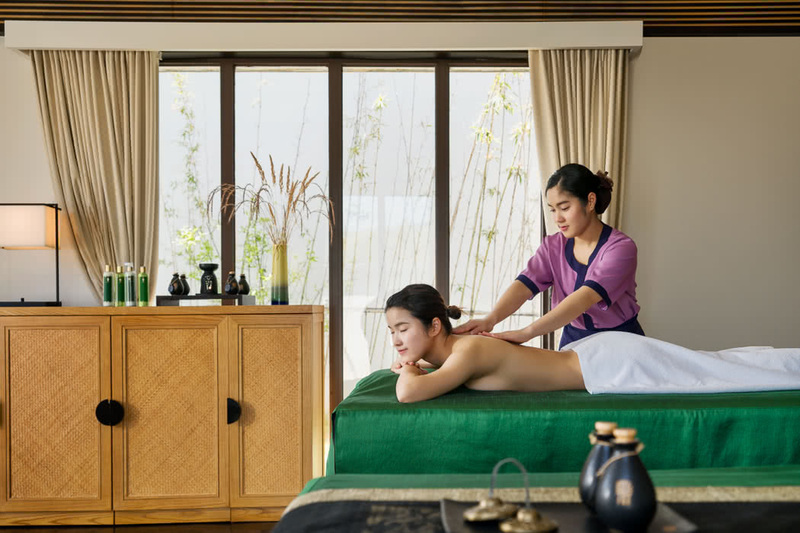 The world-renowned, luxe Banyan Tree Angsana Spa is a heavenly treat when staying here; after hiking and biking the region a treatment here is restorative and just the indulgence your body will be begging for. There’s also a Yoga Pavilion, Kids Club, and the Banyan Tree Gallery where you can shop for local souvenirs to bring home. For an evening with a difference, check out the fabulous KTV Karaoke Room where you can gather with friends and family to make your own entertainment with the state-of-the-art karaoke system! You can also rent bicycles and explore the mountain paths. All the Suites and Villas are beautiful and offer separate living areas, balconies designed to make you feel even closer to the mountain and king or twin beds, plus all the amenities that one could hope for with luxury travel. 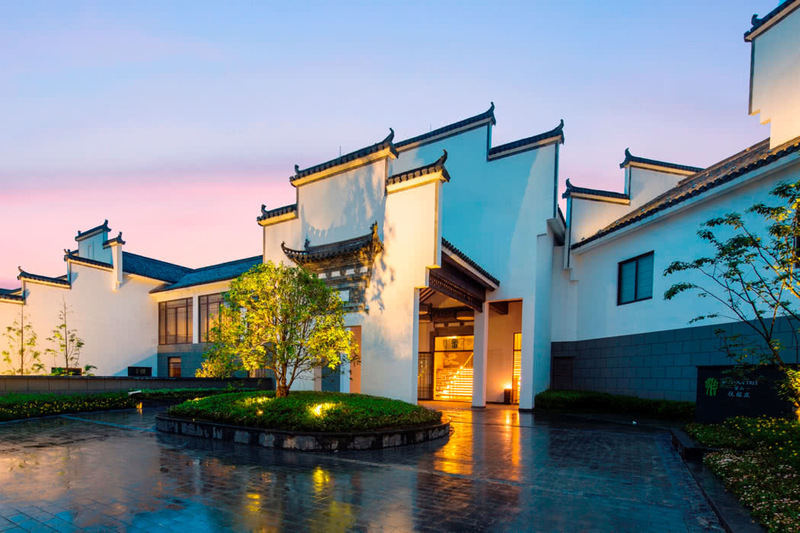 Choose between the Hongcun Villas or Lucun Suite, there are one- and two-bedroom versions of each. 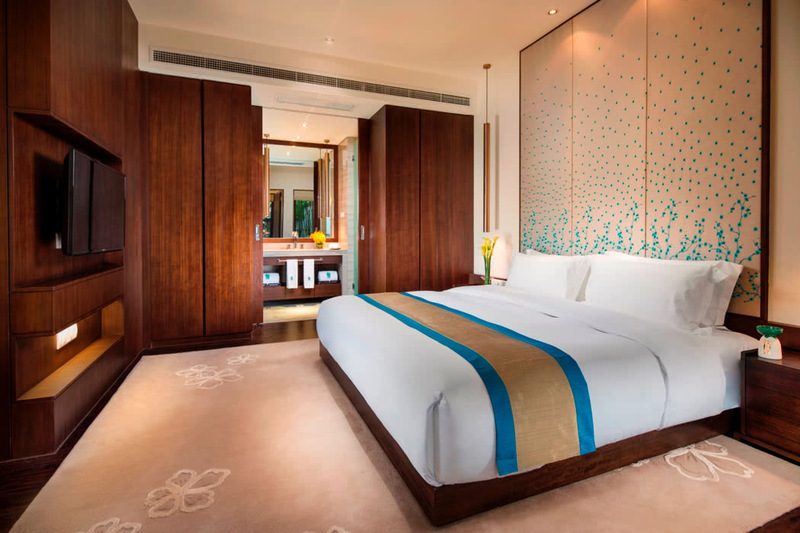 Although in some respects the entry-level room, the Lucun Suite is special. Its contemporary Chinese interiors are stunning and the unique, stand-alone bathtub melts even the least romantic of hearts. 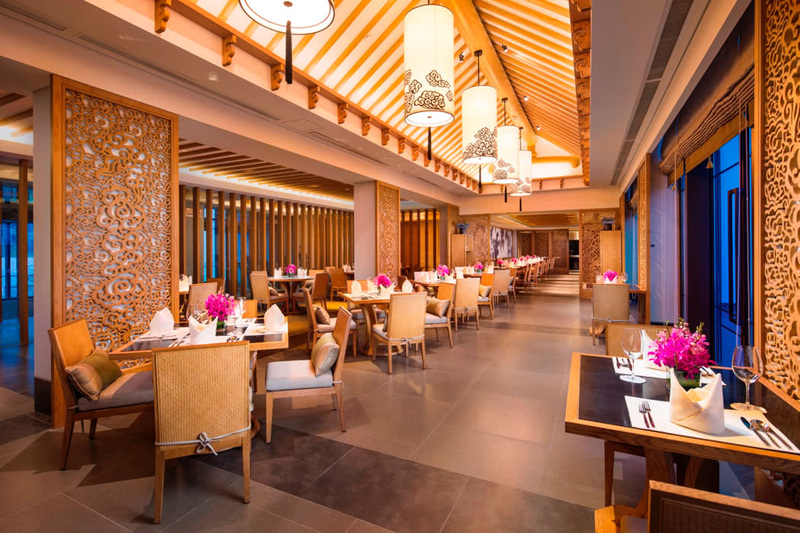 Tuck into delectable Hui cuisine at the serene and stylish Ming Yue Restaurant. As well as serving exquisite local Anhui cuisine there are Cantonese favourites and it’s open throughout the day. For all those moments in between, be it a delicious signature afternoon tea or a pot of famed Huangshan Maofeng tea, it’s a peaceful space with a stunning terrace overlooking the mountains.